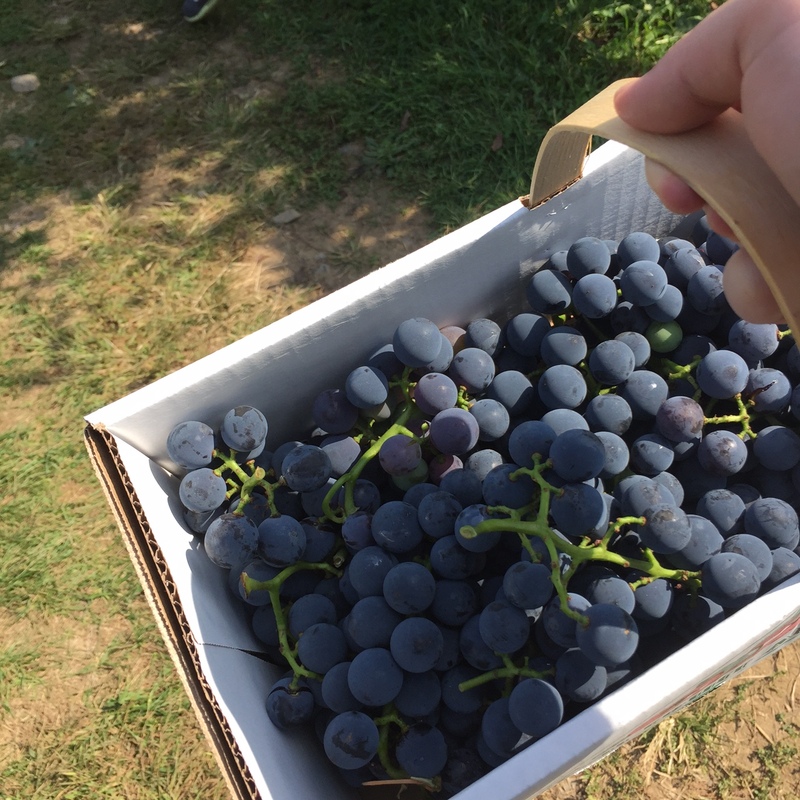 Last weekend my family and I took a trip to a local farm (Dubois Farms) and had the chance to pick Concord grapes for the first time, so naturally we went overboard and brought a few pounds of the fruit home (the natural smell of them = best olfactory marketing ever). I originally planned on just making a sauce of sorts to top some vanilla ice cream, but thought that was too boring (and not healthy enough) so I was inspired to dream up this dairy-free and vegan-friendly treat. 1. In a medium saucepan, combine the grapes (skins and seeds still intact), vanilla, water and sweetener and cook over medium high heat. As the grapes begin to soften, take a potato masher to crush the grapes. 2. Continue to heat until desired grape flavor is reached and pour into a wire mesh strainer (over a small bowl or storage container) to separate the liquid from the skin and seeds. 3. Pour the liquid back into the saucepan and continue to heat until it has reduced by about half. 4. Take off of the heat and allow to cool for 10 minutes. 5. While the syrup cools, dump all of the ingredients for the nice cream into a blender and mix until smooth and creamy. Scoop the mixture into a small bowl and cool in the freezer for 20 minutes (it scoops better). 6. Heat the peanut butter in a small bowl or ramekin for about 30 seconds in the microwave or until it is easy to drizzle. 7. Scoop the nice cream into a couple of bowls, grab the syrup and peanut butter and drizzle on top along with a sprinkling of graham cracker crumbs. Grab some spoons, dig in and enjoy! Yum!! That looks absolutely fantastic!! 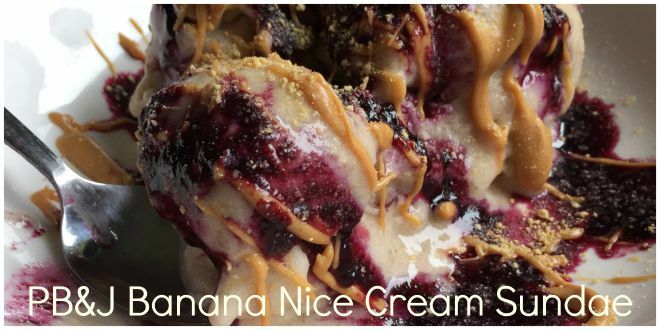 I had some banana ice cream today. With crumbled flapjack. I love it! We just freeze them in the freezer and then put them through the juicer. Yum!